When I developed The Law there was an automatic driving force within the narrative of the game. This was a game about keeping the peace in a post cyberpunk dystopia. That's a good basic premise, it gives the characters something to do automatically. There are inherent things within the setting for characters to react to, because there is always crime happening, and if the character don't address those crimes then things will either gradually crumble into anarchy around them, or rapidly explode into rioting and revolution. As a GM, you don't need to define scene by scene storylines for players to be led through, but if you want to create cases for characters to investigate it fits within the premise, and you can always punctuate events with street crimes to react to when the pacing needs to be shifted. It's a fairly open world concept, characters can go wherever they want, they can be virtuous protectors of society, or corrupt monsters, but there are always expectations of them to keep a facade of order for the citizenry. 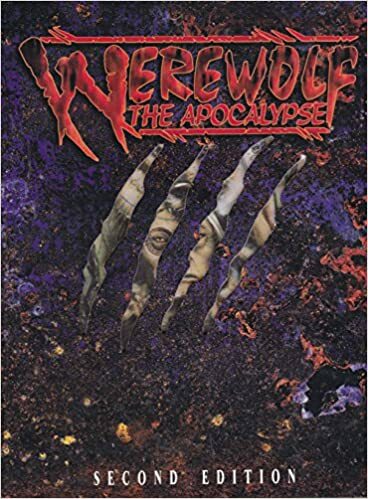 This is one of the reasons why I favoured Werewolf: the Apocalypse over most other games in the classic World of Darkness. There was an inherent drive in the story of an approaching spiritual apocalypse, monsters coming out of the shadows to destroy reality needing to be confronted, because if the player characters didn't confront them, then who would? Vampire: the Masquerade had it a bit, but that was more about personal stories confronting a struggle against a monstrous beast within. I always found it a bit more of an effort to tie together the stories from various characters unless there was a specific arrangement between characters to get involved in one another's stories, or unless some kind of metastory was added into the narrative, like turning the characters into local sheriffs for the Prince (which basically turns the game into the same sort of set up that I used for The Law). Mage: the Ascension was even more open ended, and even more in need of a coherent metastory to avoid spiralling into a lack of structure. D&D/OSR seems to run to two extremes, either you have defined narrative in the form of scene by scene descriptions and the trope of dungeon exploration, or you have complete sandbox freeform. The idea of giving characters a push toward a direction, but without giving them an explicit path to take seems alien to many games within this paradigm of play. Yesterday's post looked at a specific set of story structure fragments for individual characters to follow. Today I'm thinking it might be necessary to create another metastory pocketmod booklet that frames those individual stories in a wider context. 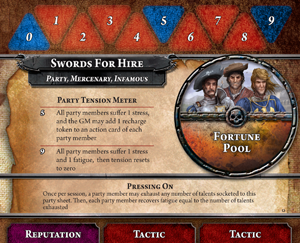 Warhammer Fantasy 4th Edition did something similar to what I'm thinking of, when it introduced a concept of party sheets. In this idea, the party has it's own goals, and a basic mechanism that reinforced the types of stories that would naturally revolve around this type of group. So, to keep the game about spirits fairly open ended, but to maintain a degree of focus for the stories, I'm thinking it might be a good idea to develop a few of these booklets, which might have a range of trope scene types for the type of narrative described, along with ideas for goals, potential experience gains, and specific bonuses and penalties that might be commonly encountered. Such stories would probably have to provide a basic grounding, a starting point, rather than act as a restriction on the narrative. These are additional things that the characters can fall back on if they don't have the motivation to pursue something of their own. They would also probably have a few restrictions based on the membership of their group, where some might be limited to groups with certain character types in them, others might be limited to low or high level groups (or might explicitly require a mix). These group stories could be exchanged at any time, as long as the consensus agrees to such a change. An idea here might be defending a specific territory in the mundane world, this would require characters who are able to interact with the world in some way, and who have some kind of vested interest in the integrity of the location. Another idea might be acting as messengers of a pantheon of deities, roaming the spirit worlds. Such a story wouldn't require characters capable of worldly interaction. A third story might be the discovery of an existential threat that could potentially infect, or even wipe out, regions of the spirit realms if not adequately addressed. Characters may then confront the idea of whether it is better to fulfil the goals of the group, or their personal goals. That's the kind of decision making that really makes a game interesting for me.